A 1979 graduate of Duxbury High School and the University of Maine in 1983, Brad starred in baseball throughout his playing days. He spent 4 years in the MLB with the Seattle Mariners organization before retiring from baseball in 1987. Coach Colton was inducted into the DHS Hall of Fame in 2006 and Uof M Hall of Fame in 2009. He followed up his playing days with a coaching career in baseball and softball. 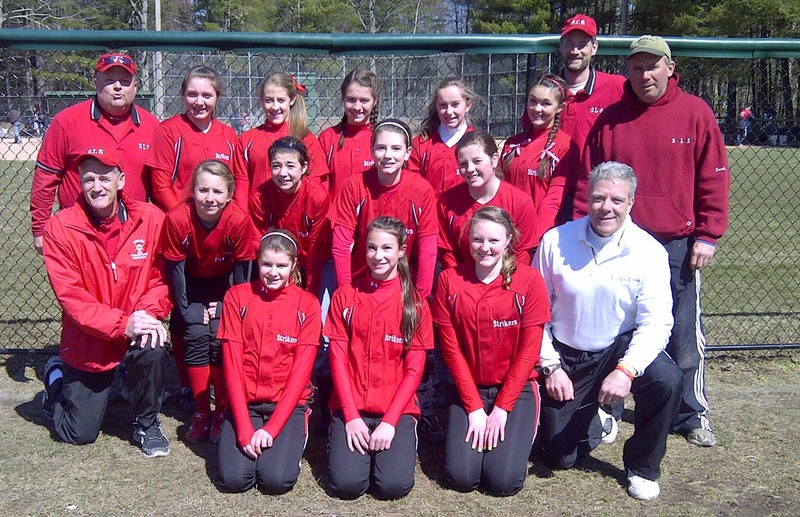 He was a coach with the Duxbury Legion program and ran the Duxbury Summer Baseball Camp from 1990 to 2000, and has been coaching youth softball in Kingston since 2006. He is presently a coach of the 16U Silver Lake Strikers. Jamie graduated from Duxbury High School in 2006 where she played softball for four years as the starting pitcher. She went on to play four more years at Bridgewater State College, and graduated with a degree in Marketing in 2011. After graduation, Jamie became a certified personal trainer and is currently employed by Duxbury Fitness. As a softball instructor, Jamie specializes in windmill pitching, fielding, hitting, and strength and conditioning. She also conducts many private, small group, and large group softball lessons. A Kingston resident, Liz is known as one of the best players to ever come through the Kingston softball program, Liz was a four year varsity starter for Silver Lake Regional High School at shortstop. She captained the team and led them to back-to-back Patriot League titles in both her junior and senior seasons. Liz earned Patriot League All Star status in all four seasons, was a member of three Patriot League title teams and was a Patriot Ledger All Scholastic her junior and senior seasons. A five tool player, Liz ended her Silver Lake career as one of only five players to have reached Coach Brennan’s “300 Club” (based on offensive production - hits, runs and RBI.) She also established the school record for doubles (12) in her sophomore campaign. Liz’s passion for the game has led her to compete for Wellesley College, where she just completed her freshman season as the starting shortstop on the varsity softball squad. Liz will major in ____. A Kingston resident, Marlee was a four year varsity player at Silver Lake Regional High School and a three year starter at the catching position. Marlee was captain in her junior and senior seasons and helped lead the team to three Patriot League titles. She was chosen as a Patriot League All-Star twice and as a Patriot Ledger All-Scholastic Honorable Mention in her senior season. An excellent defensive catcher with a rifle arm, she also packs a powerful bat. Marlee’s enthusiasm and can-do attitude make her a team leader. Marlee just completed her freshman year at American International College where she was the starting catcher on the varsity squad, and where she is majoring in ____.